Quick note: I’ve been quoted in CNN, Business Insider and CBS Business Network in the past month for my articles! Check them out: How to Stand Up to Rude Co-Worker (CNN) | How to Handle Rejection like a Pro (Business Insider) | Being Rejection Proof (CBS Business Network) | Learning to Say No (Business Insider). I’ve also recently contributed to an article for the August issue of Simply Her magazine (if I’m not wrong), so check it out when it hits the stores next month. The article is on maintaining one’s sanity in the workplace. Ok, I’ve been keeping this under wraps for a while as I wanted to wait till everything is confirmed before I announce anything. It’s really exciting for me because this is the first time I’ve been to the Western part of the world. Some of you may recall from my Vision Board video that Europe is next on my travel list. And it’s now finally coming true! The truth is, I’ve always wanted to experience life overseas for an extended period of time, ever since I was a student, to experience life in a different country and immerse in the local culture. When I was in university, I planned to go overseas for exchange, but didn’t get to do so as I skipped my honors year and graduated a year earlier than expected. NUS, or universities for that matter, don’t allow students to go on exchange in their last year, so this goal of mine never got to fruition. Yet, it remained a lingering intention to be fulfilled one day. Ever since I graduated from university, I’ve traveled around Asia Pacific, largely the Greater China and ASEAN region, thanks to my previous job. I feel like I’ve seen a good breadth of countries in Asia region, and have been eager to check out the Western part of the world. This year, I decided to put this goal into action. After 2 years of working on my business, I feel I’m in the perfect place to do that. One, I have steady streams of passive income (from my ebook sales and advertising). Two, I’m not geographically bounded with my work – by deliberate design, too. Meaning, I don’t need to be at a particular location to perform my work. I can blog from anywhere in the world, just as I can do my 1-1 coaching anywhere, as long as I have my laptop and an internet connection. I used to have ongoing speaking engagements and coaching work that required me to be in Singapore, but I’ve been ending those arrangements in the past few months as I didn’t want to be geographically bounded. I wanted to be able to do my work and pursue my personal goals at the same time. So finally, it has come to the point where I’m ready to realize my personal goal to travel overseas. Originally my intention was to travel to New York sometime in June-July and stay there for a few months. I was even preparing to apply for a US visa earlier this year. 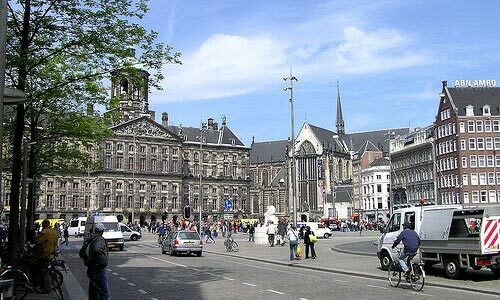 Since I’m going to Holland now, I thought I might as well shift my travel plans there – to be frank, either place works perfectly for me, since I have never been to Europe nor America before. After the conference ends, I’ll be extending my stay in Holland Europe for 11 weeks, since that’s the maximum period I can stay in EU without a visa (it’s too late to apply for a visa now). I’ve not checked if my return flight is changeable – if it is, I might shift it out by a few more months and make a visit to UK, where I’m eligible to stay for 6 months on a Singapore passport without a visa. Either way, I’ll definitely be in Europe for the next 3 months in baseline scenario. So that’s it – hello to Europe, and bye to Singapore for now! I’m not sure if there are any readers in Europe – if you are, please come and say hello in the forums. Feel free to share any tips on staying in Europe – I’m all ears. What am I planning to do in the 3 months there? It’ll mainly be to experience and immerse in the local culture in Europe. I’m not a backpacker style traveler and I’m not all that interested to comb through X countries in X days either – I don’t find any fun in rushing through a travel. I’m the sort who prefers to just stay put in a place and immerse in what it has to offer. I’ll check out Holland in the first few weeks, after which I may take weekend trips to neighboring countries if I get bored while I’m there (namely France, Germany, and possibly Italy). But this is just a back-up plan right now. My main plan is just to hang out in Holland and enjoy the place. Will I be blogging about the trip? It depends. If there are any personal growth lessons I pick up along the way, I’ll surely be writing about them. I don’t think I’ll be explicitly writing about the trip, though I certainly will share an experience or two, where relevant. After all, Personal Excellence is about sharing the lessons I learn in life through what I experience. Right now I’m just really excited about what’s up. I haven’t packed my luggage nor done any major preparations yet, though I imagine it’s going to get really busy in the next week before I fly off. Jun 14, ’11: All your responses have been overwhelming! Thank you so much for your well wishes! Since the post went online 2 days ago, I’ve received numerous emails and recommendations from EU readers and past EU coaching clients. Because of that, my itinerary is also rapidly changing as well. After high recommendations on Germany from all of you, I’m planning for a multi-stop trip – first in Holland for a month, then Germany (possibly a month), and next either to another country or back to Amsterdam, depending on how the trip goes. Jul 1 ’11: Check out the 7-part Holland Travel Series. It shares my tips on how to travel to Holland, the dutch culture, dutch lifestyle, dutch environment and essential things to know about the country.